So... It has been a very long while since I posted something on my kimonoblog! A lot has happened since February last year, and it had very little to do with kimono. I just didn't wear kimono much last year. But, the last weekend of August made up for it big time. 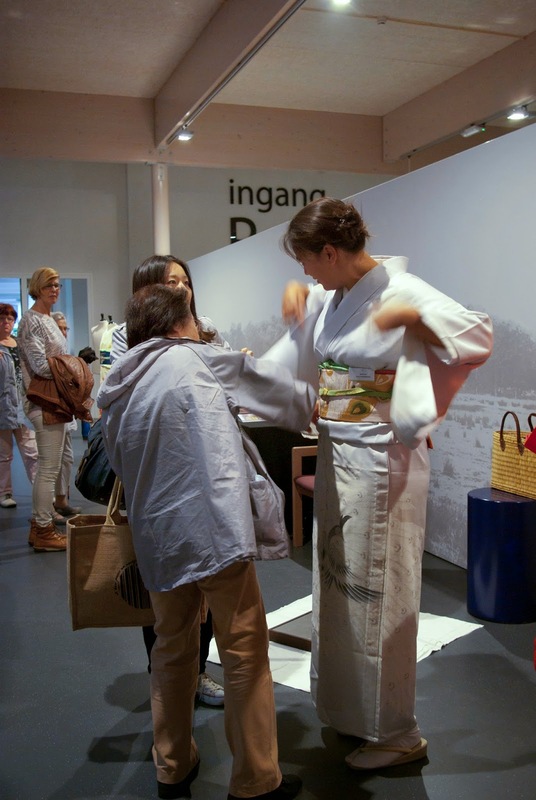 That last weekend of August (30 and 31 of August to be exact) I participated at a museum (Klok & Peel Museum in Asten) which held an event called 'Oosterse Dagen', or Asian Days. A few weeks before the event, my boyfriend and I went to the museum to meet with the organisers and see where 'my spot' would be. 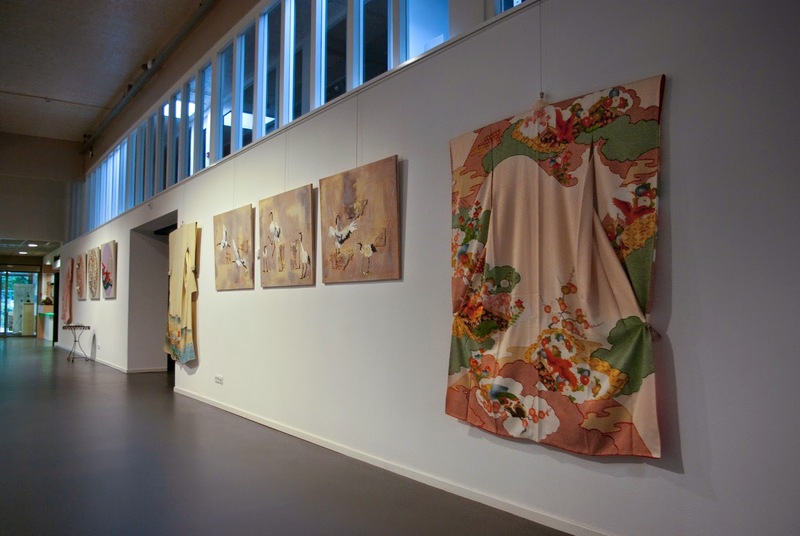 That's when we dediced that I would hang a few kimono on a wall, and that I would have a 3 or 5 dummies that I could do kitsuke on. That way I would be busy during the day (instead of standing still and watching time going by) and the visitors could see what you're actually wearing when wearing a kimono. We didn't know what to expect, but we had a lot of fun! Dressing the dummies during the days was a hit. People stopped to see what I was doing and asking a lot of questions, which I tried to answer as best as I could. And the questions were so various! 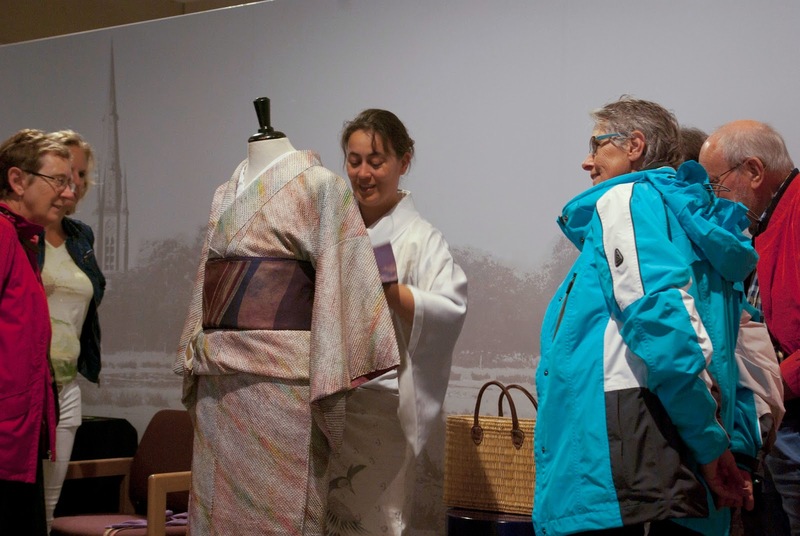 Some couldn't understand that the kimono that hung on the wall had the same model as the kimono I was working with. Or they didn't know that wearing kimono meant wearing 3 layers at the least (except for wearing yukata). Does the backpack, and they meant the musubi, have a function? People couldn't believe that an obi was that long! And many, many more questions! But... the best of both days came on Sunday. I was finally eating a sandwich when a small Japanese lady looked at the kimono I was wearing and started pointing and talking. Since I don't understand Japanese I was didn't knew what to do, so I stood up. Luckily my bf saw his Japanese colleague come in and she was able to translate for me. Pfew! The lady was from Kyoto and was visiting her daughter. And... she used to be a kitsuke-teacher! So then she started tugging my obiage (it was too loose) and telling/showing the right way to tie it. The same with the obijime (and yes, I've written down how it's done know and practised at home). She also said something about the collar and if I did wear it like this it looks more straight (don't know that tip exactly). And while saying that, she had her hand in my kimono, straightening it out haha. She was very glad that I wore kimono, and I guess for a non-Japanese I did good.